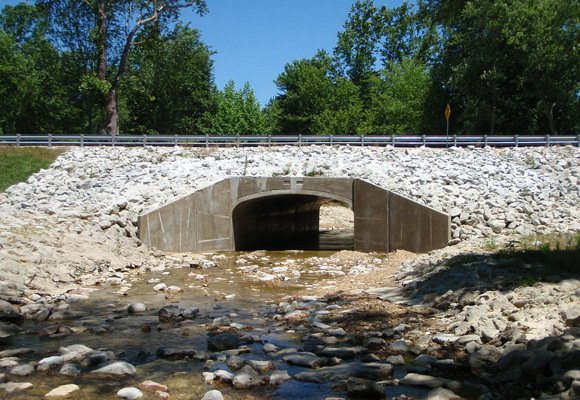 Pike and Johnson Counties – These three projects involved the replacement of rural bridges in Pike and Johnson Counties, KY. Palmer’s survey staff was responsible for gathering the topographic information required for the analysis and design phase. These responsibilities included: project control by GPS and conventional methods, DTM, bridge modeling, and hydraulics surveys. Greenup County – This series of projects involved the replacement of bridges in the rural areas of Greenup County, KY. Survey activities on these projects included establishing control using GPS and topographic surveying, including surveying river sections. Marshall and Trigg Counties – One of Palmer Engineering’s responsibilities on the Michael Baker team selected to provide Bridge Type Study and Final Design for the US-68/ KY-80 bridges over Kentucky Lake and Lake Barkley is to provide survey and mapping services.